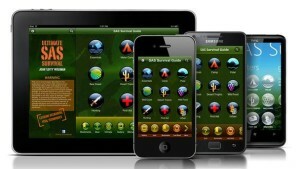 Are you looking for apps that will help plan a safe hunting trip, increase your success percentages, track your hunting party, and provide survival tactics? Look no further as we have done the research for the top 5 Deer Hunting Apps of 2016. This is a must-have survival and safety guide written by a former Special Air Service (SAS) soldier. This App provides valuable safety & Survival information that will help you handle any situation you may encounter in the Great Outdoors. Included in this App are; poisonous plants, a survival checklist, key information supported with illustrations, a Morse code signalling device, a compass and more. This app is available for both IOS & Android devices and is free! This is a terrific mapping app, which provides satellite imagery views, topographic maps, and many other map overlays from Google Earth. For an additional fee you can also get access to maps such as; forest service roads and public land boundaries. Other tools included are; mark waypoints, current location, tracking information, and ballistics calculator. 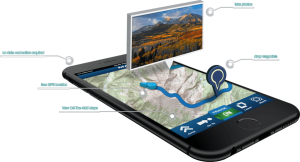 This App was designed to aid in a safe hunt, providing mapping, tracking, and navigation capability. ActinNature will track where other hunters are, within a 3 mile range, as long as they have a device with GPS, map, and camera support on them. Beside safety there is a great added benefit, the advantage it gives you over other hunters since you will know where they are, when they’re moving, and the direction they’re moving. The Capture Map also provides you with your position & orientation, distance between you and other hunters, and their direction and speed. Planning: Sun & moon phases, weather forecasts. Map: Hunting zones, POIs, other hunters, compass, wind & weather information. Camera: Augmented view with POIs and other hunters. Notes: Tags, journal records, tracks, gallery pictures, weapon and ammunition. 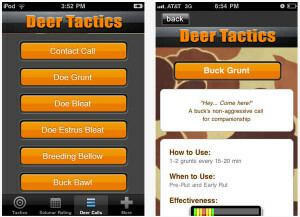 This App is designed to help Deer Hunters get the most out of their hunting trip by providing 12 of the most effective deer vocalizations (Calls & Grunts), along with tips on how and when to use them. It also includes a calendar tool that will link the different stages of the Rut to the most effective calls. As a bonus it includes; A Lunar and Solunar day rating, a page for field notes, and a deer score calculator. These include tending grunt, tending click-grunt, snort-wheeze, sparring and rattling, doe grunt, doe bleat, doe estrus bleat, contact call, breeding bellow, buck grunt, & buck bawl. This app is available for both IOS & Android devices and costs $1.99! iSolunar Hunting and Fishing Times uses solunar information from the US Naval Observatory to create location specific peak fish and game activity reports. 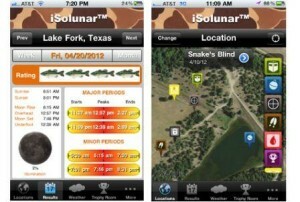 By using the moon’s position and lunar phase this App can calculate the most productive times for hunting and fishing. This app is available for both IOS & Android devices and cost $4.99!